Small business owners, maybe more than any group of people, know the importance of saving money. It’s understandable, since 82% of small businesses go out of business because of cash-flow problems. Enterprisers tend to be skeptical of marketing, because it usually comes at a price, and it can be confusing. In the case of social media marketing, you can get started with just a few hours in front of a computer (or smartphone! ), at the price of zero dollars. 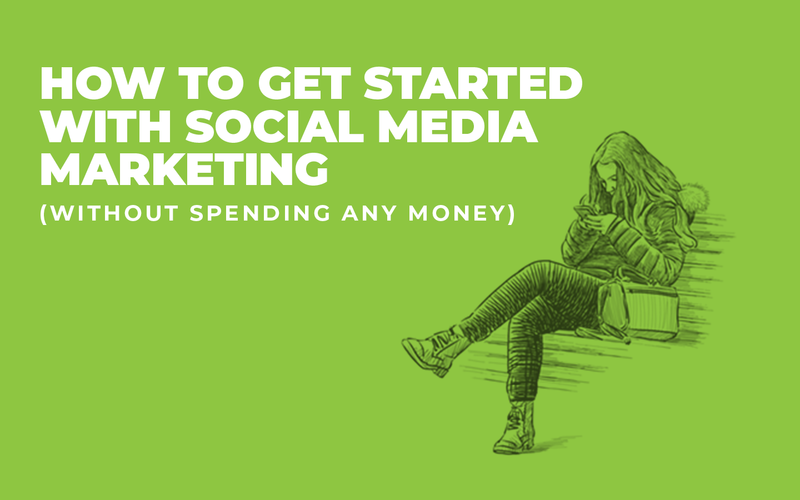 Here’s how to start marketing your small business on social media for free! Facebook is a great place to start, since it’s the biggest and most-used social media platform. About 80% of Americans are active on Facebook, and it’s easy to connect with the local community. To get started, go to facebook.com/business, which will take you to the entry point for Facebook social media marketing. Click the “Create a Page” button from the dropdown in the upper-right corner’s dropdown menu. Next, click Business or Brand on the next page. Some form fields will appear, with fields for Business Name, Category, Address, and Phone Number. If you can’t find the exact category your business fits into, choose the closest option. There will be plenty of room for clarification on services later on! Next, upload some pictures! Start with your profile picture. A lot of brands use logos, signage, or pictures of storefronts for their profile pictures. If you don’t have a profile picture on hand, you can click Skip. Be sure to upload one eventually, as potential customers might not trust a business without a profile picture. Next, upload a Cover Photo. 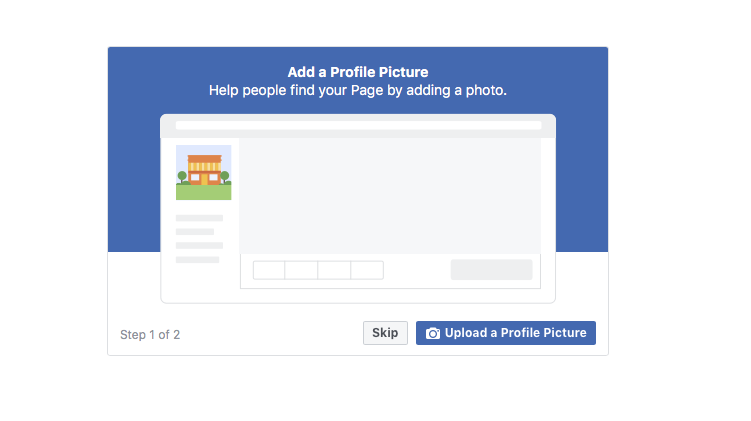 A cover photo is a wide photo or graphic at the top of your page. This picture is much bigger than your profile picture, so make sure it’s at a higher resolution than your profile picture. Facebook recommends 851 pixels wide and 315 pixels tall for cover photos. If you don’t have anything suitable for the cover photo, you can skip it. Just don’t forget to upload it eventually! At this point, your page has been created. Be sure to fill out all the information that is pertinent to your potential, write a killer description, and invite all your friends and family to follow you. During this step, a lot of businesses keep their page unpublished until it is ready to launch, complete with tons of pictures, a polished company story, accurate business hours, and all the different ways to get in touch. Now that your Facebook Business page is created, the real work begins. You need to post regularly with quality, engaging content. Show your business’s successes, big events, encourage reviews, and be sure to respond to everything! Keep in mind, photos and videos get way more engagement than simple text, so try to incorporate media anytime you can! A crucial part of your business’s social media presence is maintenance. Anytime you update locations, change numbers, or update the logo, be sure to reflect those changes on the page, or you will get some unhappy customers. With Facebook, the more you put into it, the more you’ll get out of it. If you neglect your business page, it probably won’t deliver many results. 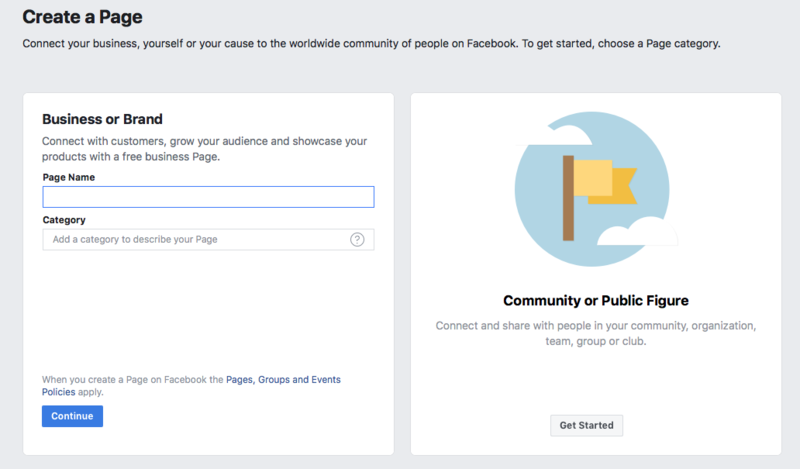 If you interact, update, connect with your community, and get inventive with your posts, Facebook can be a free cash cow. Of course, if you want the most results possible, paid ads and boosting posts is the way to go. If you decide to go the non-free route, we can help with that! If your business has a ton of visuals, Instagram is the way to go. This social media platform is perfect for gorgeous pictures of your products, short videos of your business in action, and visually engaging events. Instagram has less users than Facebook, and a younger demographic. Instagram is the choice for 20-40 year olds, with somewhere around 400 million daily active users. Instagram is genius in its simplicity: It’s just a profile header, a brief description, followed by a gallery of photos and videos. 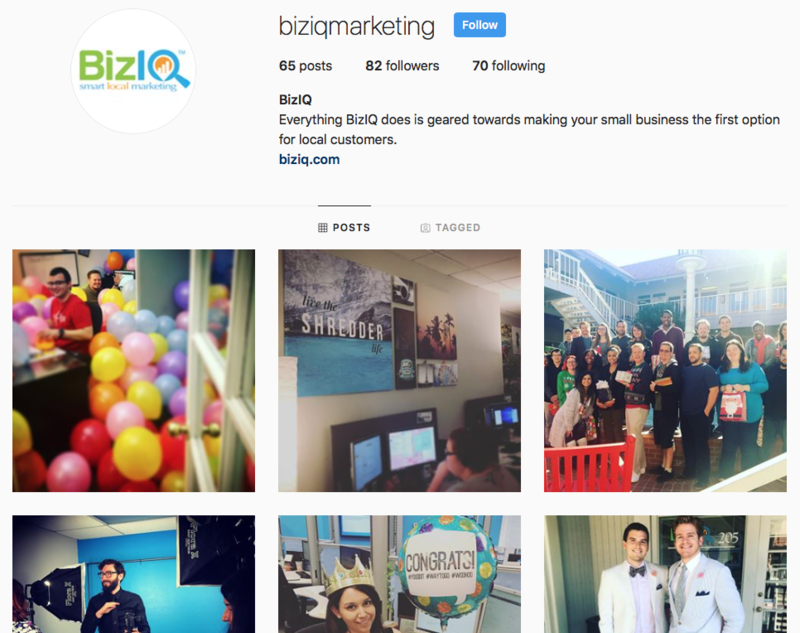 Potential customers look to your Instagram page for a brief, easy glance into your business and the faces behind the scenes. The real value is in the followers. As you amass a following, a wider audience will see your brand, and your business will become a part of your customers’ lives. To get started with an Instagram account, download the app. It can be found on Windows, Google, or Apple app stores, and it is free. It’s worth noting that Instagram is intended for mobile devices. Though there are ways to post photos from your desktop computer, it’s much easier to use Instagram on a smartphone. 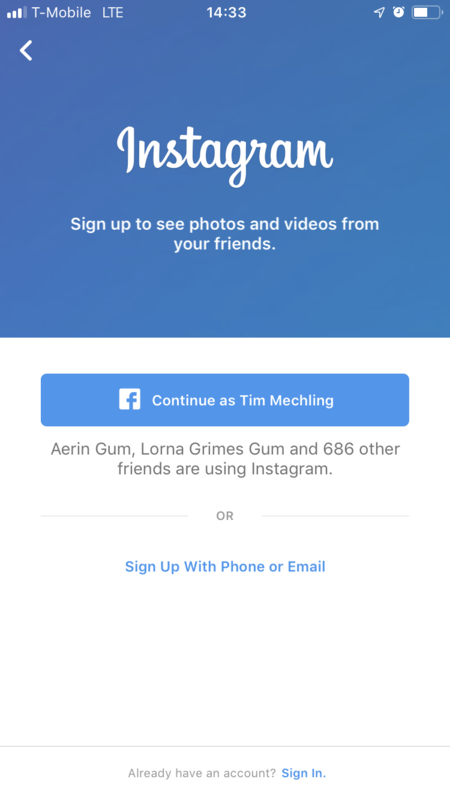 Once you have the app, launch it, and tap “Sign Up With Phone or Email” at the bottom of the launch page. There is also an option to log in with your Facebook account (Surprise! Facebook bought Instagram in 2012 for somewhere around a billion dollars). 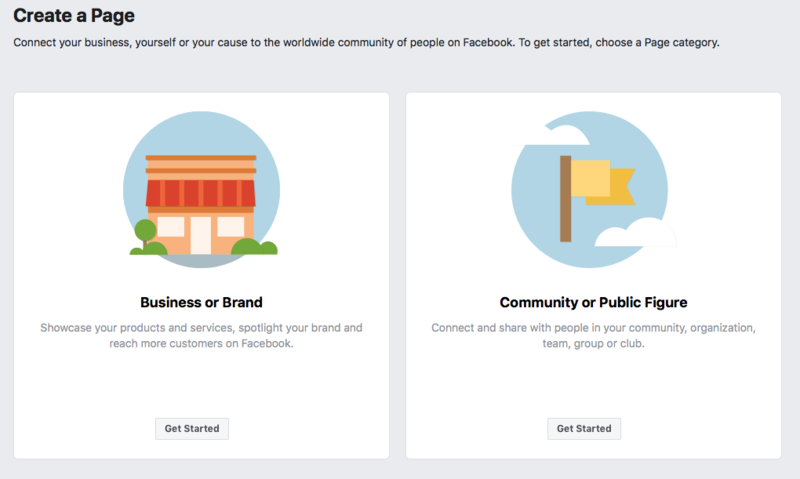 Since you’ve already created a Facebook Business account, you can connect it directly with your Instagram. 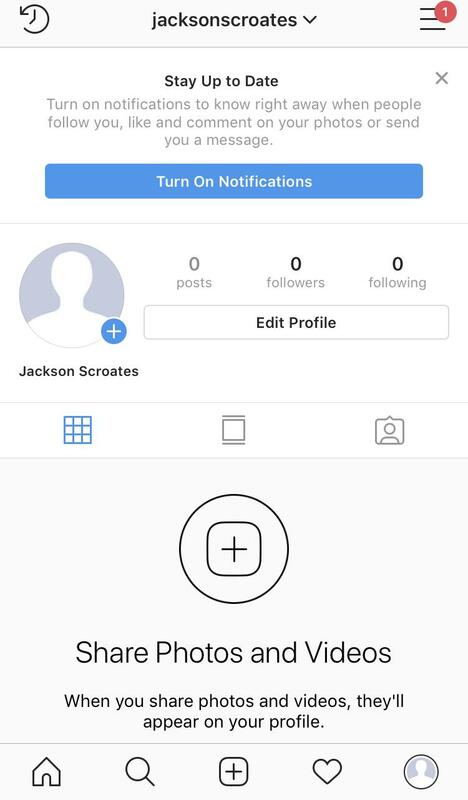 You can post photos to Facebook from Instagram, and vice versa if your accounts are connected. Just be extra careful that your personal accounts and business accounts aren’t accidentally criss-crossed! Once your account is created, it’s time to complete your profile. On the lower-right of the screen, the icon signifies your profile. Tap that button to view your profile, and press the big button that says “Edit Profile” to fill in your information. When your profile is set up with appropriate information, logos, and how to get in touch, you’re ready to start inviting friends, family, and potential customers to connect! You can connect to Facebook friends, or contacts saved in your phone. 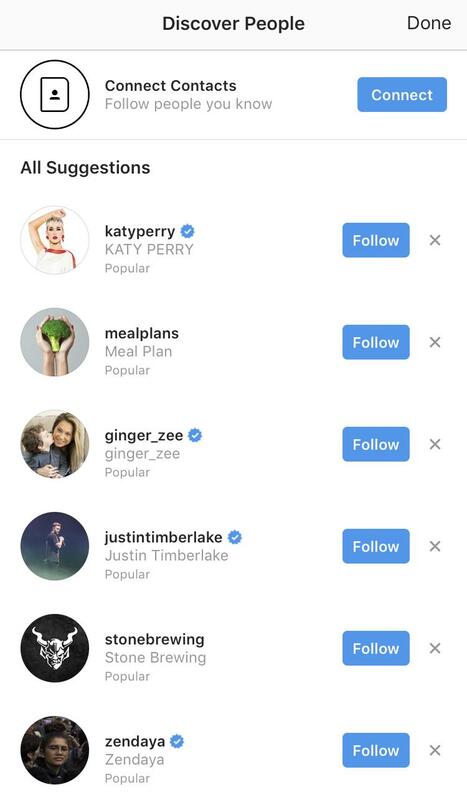 Instagram wants people to connect, so they make this step as easy as possible. From here, fill your gallery with beautiful photos and engaging videos. Easier said than done, but that smartphone you’re using is probably takes high-quality photos and videos. It’s important to have fun with it, and maintain your professional look and standards. To upload photos, tap the Plus sign in the rounded square at the middle of the base of the phone. Select a photo from your photos on the phone, apply a filter (if it adds something to the picture), write a description, include a couple of relevant hashtags at the bottom of the description, and post it! Over time, if you post great photos and videos consistently, you’ll gain momentum, and your business will grow. Like Facebook, you get out of it what you put into it. An inactive Instagram account may lose followers faster than they accrue. The magnifying glass icon at the base of the screen is a great way to discover other users to follow. Don’t be afraid to explore other relevant accounts, and search for users that use hashtags in common with your product or service! Gaining a marketable following won’t happen overnight. Be patient, keep quality in mind, interact with other users, and growth will happen! What About Twitter, LinkedIn, and Google+? Twitter: Twitter is a platform in decline. It’s fallen short of its growth projections, and its stock has been shaky over the last few years. Recently, 70 million accounts were purged from the platform for being fake. This platform has been notoriously hard to monetize, and users are less likely to connect on brands via tweet. For small businesses, this platform can be used as a place for conversations, discussions, and community building, but there are better places to do that. Some experts say Twitter will be out of business by 2020. Skip this one, and focus on Facebook or Instagram. LinkedIn: LinkedIn is actually a great resource for businesses, but it has a very different purpose than other social media. This business-focused platform is made for recruiting new talent, business-to-business sales, and connecting with other professionals. The social media strategy for this platform is industry-specific, and may prove handy to some small business owners. If you have a small staff that you don’t intent to grow, or you’re strictly a business-to-consumer brand, maybe LinkedIn isn’t right for your business. Google+: Google’s attempt at a platform has been pretty universally deemed a failure, and the service is officially shutting down in August of 2019. Developing a strategy just in time for a platform’s death rattle would probably be a huge waste of time. In the meantime, Google is always expanding their services in weird new ways. There will probably be some new social service or resource headed our way in the upcoming months or years, but until then, an optimized Google My Business listing, and cultivating five-star reviews is probably the best use of your time. Maintaining a social media profile with an engaging content calendar may be a challenge at first, but if you’re consistent, an audience is sure to form. A strong profiles with authentic content and plenty of engagement is a huge credibility builder for your audience. All it takes to get started is time, thoroughness, and a little bit of creativity! If you need help getting started with your social media marketing, or you’d like an introduction to paid social ads, we’re here to help!